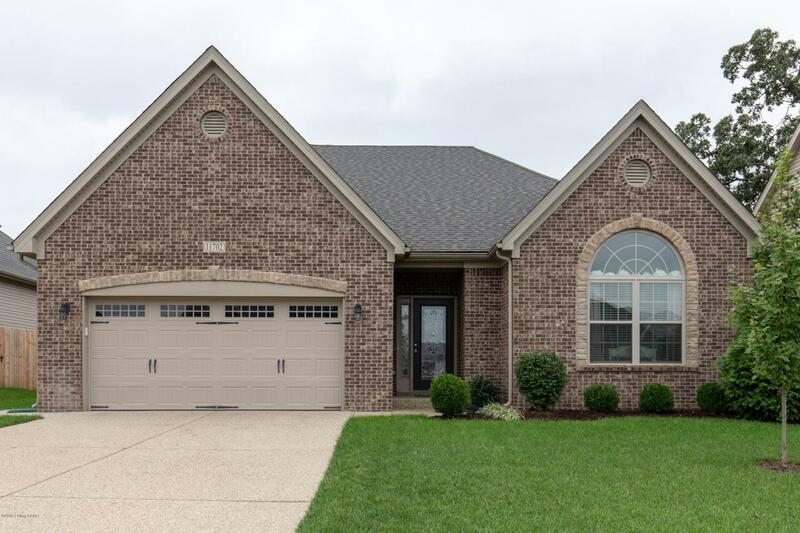 This beautiful Baldwin Expanded floorplan has been updated and upgraded throughout! Owners added raised granite countertops in the kitchen, upgraded pendent lights over the kitchen island, as well as, stainless steel LG appliances that include a French door refrigerator. A butler's pantry conveniently located between the dining room and kitchen is ideal for serving guests. The kitchen w/breakfast area opens up into the spacious living room that is perfect for entertaining. Upstairs you will find a finished bonus media room wired for sound and a half bath. The first floor laundry comes with custom built-ins and a LG front load washer and steam dryer. Additional features include: very large walk in master closet with added hanging and shelving space, touch activated kitchen faucet,new ceiling fans, light fixtures, hardware and additional shelving throughout. Washer, dryer and refrigerator remain with the house. Don't delay! Come see this one today!